The Dinner Devils visited Tuc Craft Kitchen in September 2018 and will certainly be back again for more in 2019. 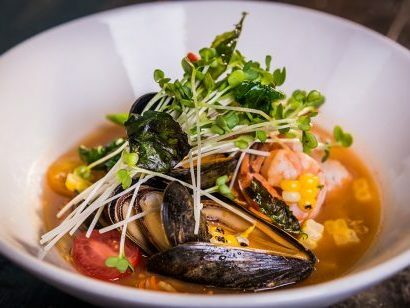 Tuc Craft Kitchen serves farm to table food, inventive cocktails, craft beer & a carefully curated wine list. They founded Tuc on the notion that sharing good food with friends and family is life’s greatest pleasure. And that every invitation to sit down for a meal should be an expression of generosity of spirit. Ironically, the Dinner Devils was founded on the same principle. Their simple yet inventive food is a celebration of the agricultural bounty of this region. 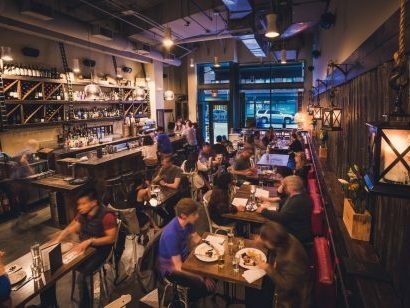 The room is warm and convivial, with a nod to the rough-hewn “saloon and sawmill” heritage of Gastown, where they are located.